If you are heading out East to the Hamptons this summer, be sure to check out the delightfully refreshing Shuko pop-up restaurant in East Hampton in the Highway Diner & Bar space, a location known to all for the tank out front. 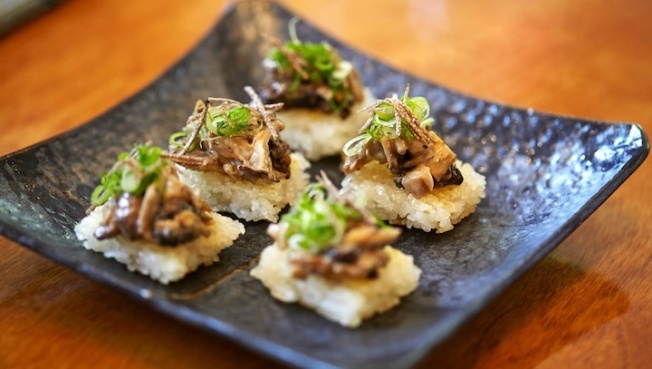 Chefs Nick Kim and Jimmy Lau, formerly of Neta and Masa, were inspired by their travels through Japan and came up with a new sushi concept for the summer ahead of their planned opening for Shuko in the city this fall, which will feature kaiseki and sushi. The summer menu features omakase favorites and small and large plates from the kitchen, all with a nod to Long Island’s summer bounty. Look out for an utterly delicious specialty dish of whole branzino with clams and roasted tomatoes, and tasty summer tempura and teppanyaki. On the booze front, while guests can enjoy sake and Japanese beer, the team has also put together an inventive menu of cocktails with a Japanese twist. The cocktail names are a nod to Japan and incorporate ingredients such as matcha green tea, ginger, and Japanese whiskey. The room is easy breezy and inviting, and you just might see Jay and Beyonce, Gwyneth, or the Seinfelds enjoying the scene. For more info, go to ShukoNYC.com.